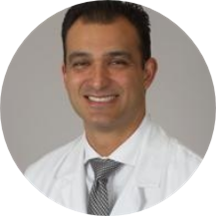 Dr. Omid is an Associate Professor in the Department of Orthopaedic Surgery at the Keck School of Medicine of USC. He specializes in complex reconstruction of all shoulder and elbow conditions. He also has extensive experience in all arthroscopic procedures and has pioneered several novel minimally invasive arthroscopic techniques for shoulder reconstruction. Dr. Omid leads the Shoulder & Elbow Trauma Service at LAC+USC Medical Center one of the busiest Level 1 trauma centers in the nation. He is actively involved in research and has authored numerous articles. His areas of interest include shoulder arthritis rotator cuff tears shoulder separations and dislocations and fractures of the shoulder and elbow. Dr. Omid has special expertise in total shoulder and elbow replacement and arthoscopic procedures of the shoulder and elbow. Dr. Omid is also involved in numerous national organizations including the prestigious American Shoulder & Elbow Surgeons (ASES) Society the American Academy of Orthopaedic Surgeons (AAOS) and Arthroscopy Association of North America (AANA). He received his medical degree from Chicago Medical School where he was elected to the Alpha Omega Alpha Honor Society. He completed post graduate fellowship training in shoulder and elbow reconstruction at the world renowned Washington University/Barnes Jewish Hospital shoulder and elbow program in St. Louis. Very good visit, short wait time.